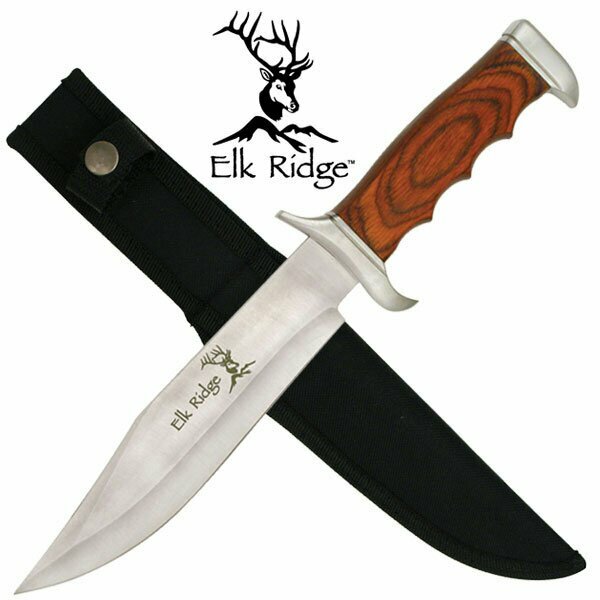 Elk Ridge Hunting Fixed Blade Knife 12.5'' Overall(ER-012) Elk Ridge hunting knives made by Master Cutlery. Fixed hunting blade knife. 12.5" overall, 440 stainless steel blade. Full tang wood handle with silver bolster. Include nylon sheath.